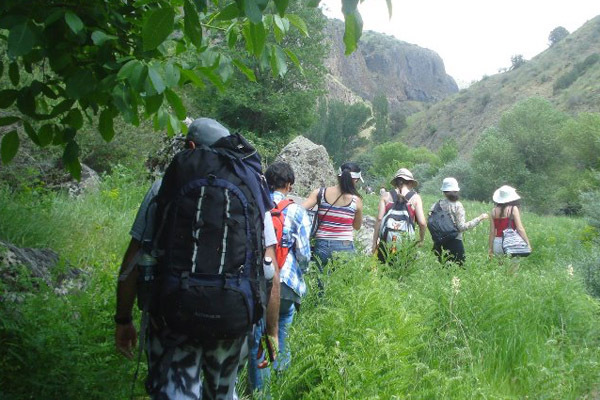 On June 4-5 with the initiative of "Jermuk Development Center" and "Young Biologists Association" NGOs The First Ecotourism Festival will take place in Armenia. Econews.am has talked about this to "Jermuk Development Center" NGO's chairman Vazgen Galstyan. "We are planning to organize the festival in Gomq, Vayots Dzor. Our main goal is to enable residents understand, that more income they can receive by environmental protection than its destruction. The main conceptual basis is this, on which we want to build the festival". Everyone can participate in the festival, without limitation you just have to fill the online application form. "There are one and two-day tours options. A number of events are listed in online form, some of which are paid. Naturally, the people who will join from Yerevan will pay for transportation means. And the festival is free of charge, anyone can take part we will not take any money from those who will enter the village". "At the moment, we are at the stage of discussion, we are trying to develop resources. I think, at the end of the festival we will understand whether we realized the goals set before us and it will be clear the next festival will be held in Gomq or in another place in Armenia".